​As Certifications Officer, Sheila Lavallies values being able to interact on a daily basis with individuals providing services and products to the 22 Arab countries. She has a wide range of experience, having worked in teaching, procurement and purchasing, administration, and office management positions, in addition to being an advisor in law enforcement. Ms. Lavallies had the pleasure to teach at the very first Harmony Science Academy location within the Cosmos Foundation, when she taught music theory and theater arts and conducted students in three music competitions statewide. She also worked previously at the office of the Attorney General in Houston, Texas, where she was the administrative technician and worked directly under the Office Manager. In that capacity, her primary responsibilities were to maintain all pertinent private and confidential information within the unit of 36 employees, as well as to conduct job interviews for potential new applicants as well as assist with employee annual reviews. Ms. Lavallies also worked as the purchasing officer for the Accupack PC Board and Cable Company, which built pc boards for computers for various companies in and around the United States. Her responsibilities included ordering parts and components, which building strong relationships with companies in China, Germany, Canada, and Europe. 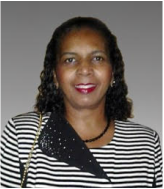 Ms. Lavallies also worked with Honeywell Corporation as a contract buyer, maintaining connections with companies in Venezuela and Jamaica and dealing with customs issues on a regular basis.